Townsville Townsville is a vibrant region that encompasses beautiful coastal towns, rainforests, rugged Outback and country terrain. 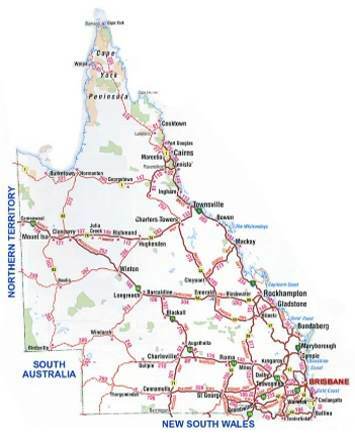 It is also Australia's largest urban centre north of the Sunshine Coast. Any dive enthusiast travelling through Australia should be sure to make a stop in Townsville to experience the phenomenal ship wreck, the S.S. Yongala. Choose between a day dive tour or a liveaboard experience. Just 8 kilometres of the shore of Townsville, Magnetic Island is the only island on the North Queensland Coast with a delightful blend of untouched National Park, a resident population of about 2,500 and a variety of holiday resorts. Despite being located in the tropics, the Townsville area is in a rain shadow which makes it the sunniest city on the Queensland coast - Magnetic Island averages over 320 days of sunshine per year! Nestled on the coast of Far North Queensland, Cairns is tucked between the Great Barrier Reef in the Coral Sea and the lush rolling downs of the Atherton Tableland to the west.There is something here for every visitor to enjoy... adrenaline-charged adventures like diving, white water rafting and bungy jumping or more gentle pursuits like birdwatching, hiking, gourmet restaurants or just sitting under a palm tree sipping a cocktail.